Chinese manufacturer OPPO might launch its flagship Android Smartphone i.e. Find 5 in India. Currently it is said that, OPPO is working on regional languages for various countries and once thats done, they might launch it in many more countries. OPPO Find 5 has a staggering 5 inch IPS 1080p display with a pixel density of 441ppi. All this is achieved at a mere 8.86mm of thickness. The smartphone has a 13 megapixel rear camera with built in CMOS technology. The camera is capable of shooting HDR photos and videos which is good in low light conditions. In burst mode the camera is capable of taking 100 photos at once at a rate of 5 photos per second. The camera also is capable of shooting videos at 120 fps. The mobile phone is packed with Qualcomm Snapdragon S4 APQ8064 chip which is clocked at 1.5GHz. The chip uses Adreno 320 GPU. OPPO Find 5 uses DIRAC HD Sound for better sound output. 2GB of RAM is embedded inside this powerful phone. The phone is DLNA compatible. The Find 5 sports a superb build quality. Unlike other smartphone vendors like Samsung, OPPO uses some metal to make the body. All this is expected to be available at ₹27,445 for 16GB model and ₹31,259 for 32GB model. This is quite cheap compared to the flagship phones provided by Samsung, Apple and LG. Unlike other smartphone companies like Samsung, LG, HTC, etc who rarely provide updates for their phones, OPPO provides software updates regularly and that is because currently they have launched only 2 smartphones till date. 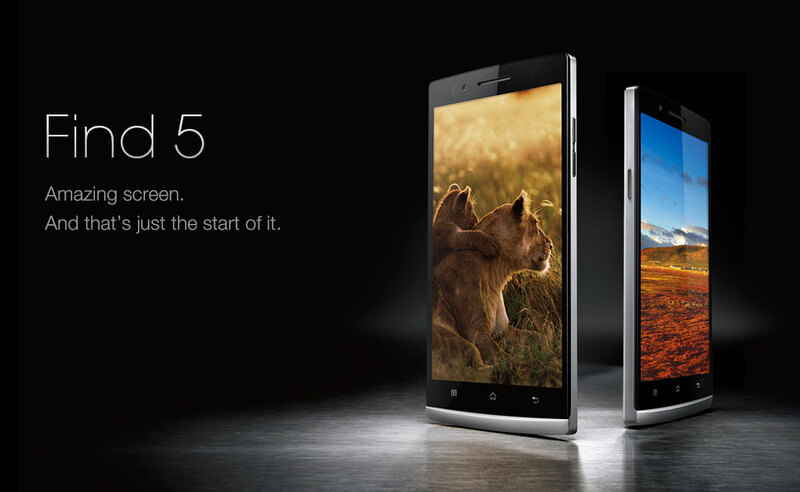 The Find 5 has received admired by most of the users who bought it. It would be awesome to see how the Indians find it.